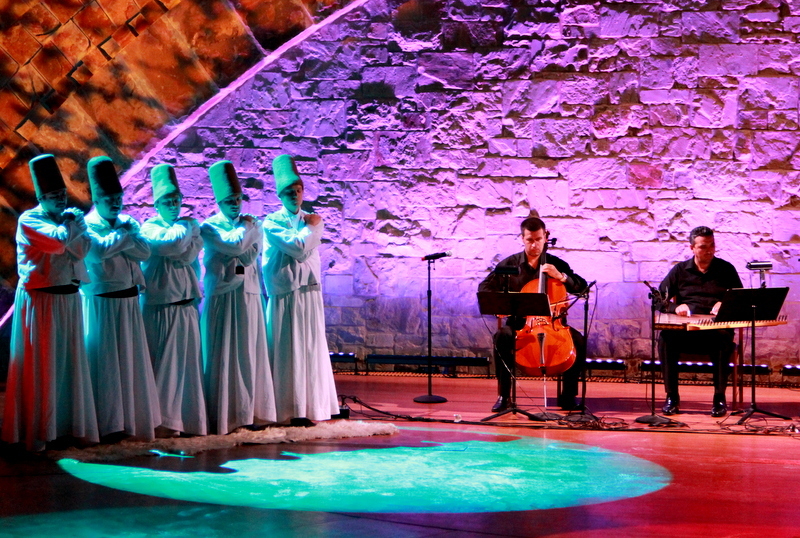 Whirling Dervishes and a Sufi music ensemble traveling from Konya, Turkey made a rare Austin appearance at Riverbend Centre on Friday, September 25, 2015, at 7:00 p.m. Sponsored by Dialogue Institute of the Southwest, and co-sponsored by Unity Church of the Hills, St. David’s Episcopal Church, Jim Harrington, Concur Realty and Zihno Jusufovic, the intensely spiritual and inspirational ritual of the Whirling Dervishes featured the revolving dance of dervishes cloaked in long white robes, accompanied by Sufi music. 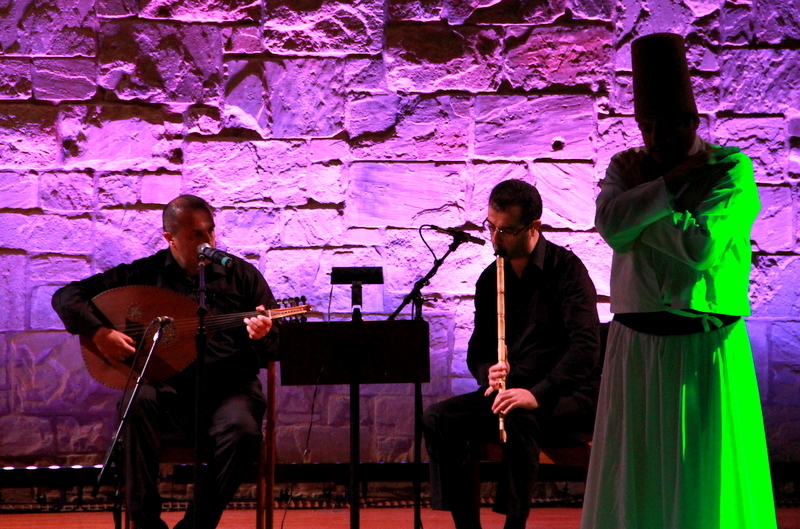 The musicians performed on traditional instruments dating back to the time of the world-famous philosopher and mystical poet Mevlana Jalal-al-Din Rumi, popularly known as Rumi. Rumi’s disciples and his son Sultan Walad began the famous Sufi dance (the Sama, orSema, ceremony, also known as the Whirling Dervishes) after his death in 1273 as a sacred dance to symbolize Rumi’s spiritual thought. Sufism is a mystical tradition in Islam, and its Turkish version is the most familiar in the West. 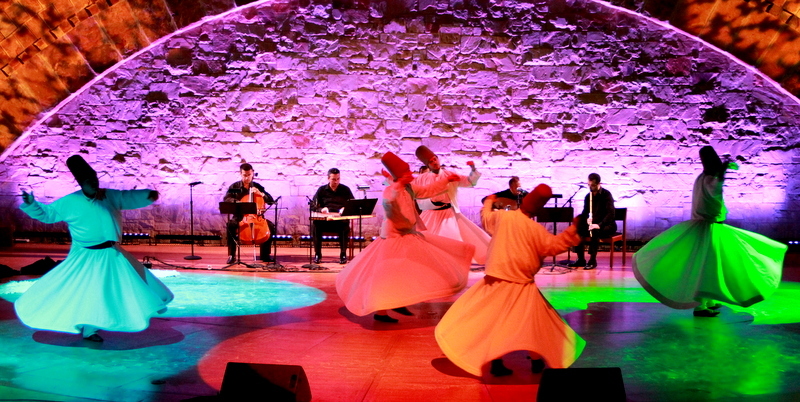 Rumi passionately believed in using music, poetry, and dance as a path to God. For him, music helped individuals focus their being on the Divine, so intensely that the soul was both destroyed and resurrected. 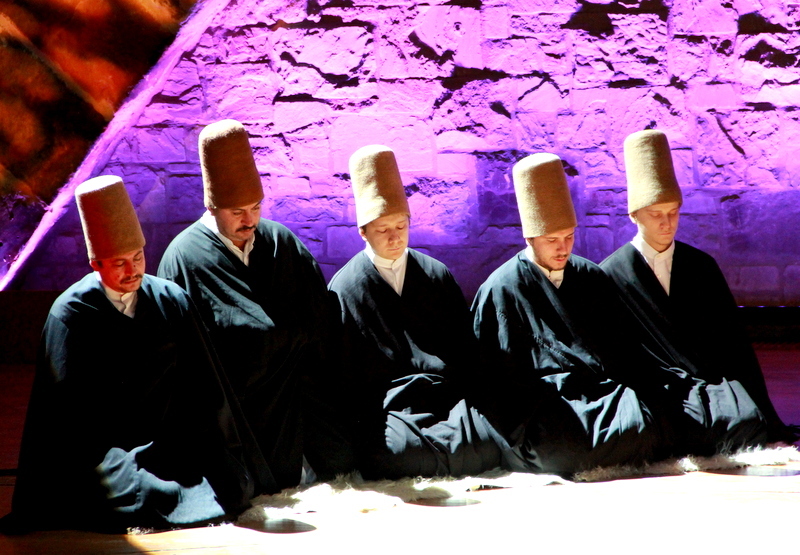 These beliefs led to the Sama’s whirling dervishes creating a ritual dance.